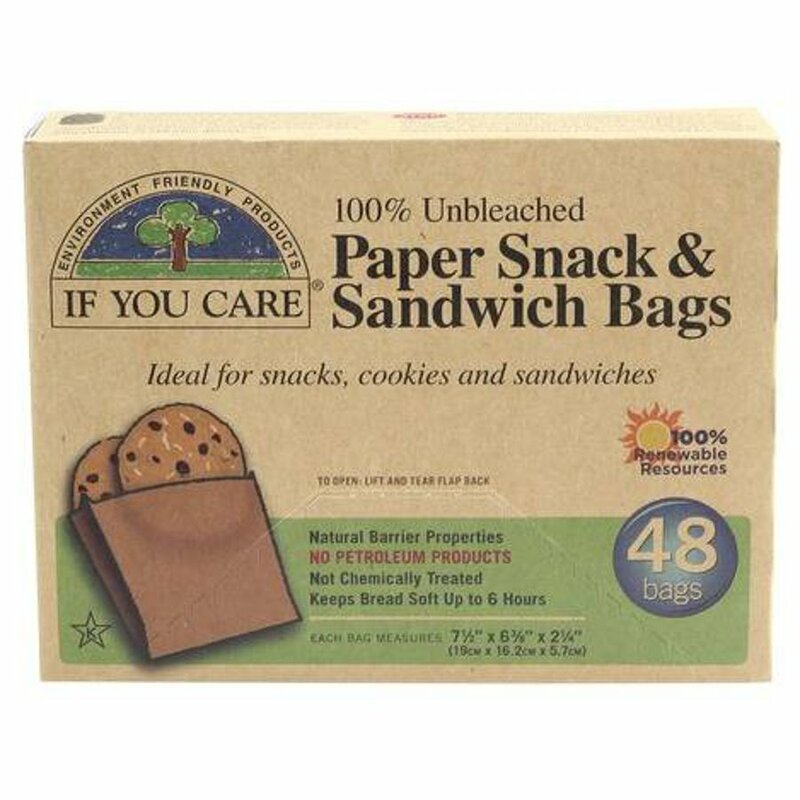 These sandwich bags from If You Care are made from 100% FSC Certified unbleached paper from Scandinavian spruce trees, and are also biodegradable and landfill safe. As well as this, they are greaseproof, and provide a natural barrier which prevents grease or fat from infiltrating. The manufactured materials are all made from renewable resources and the packaging materials are made from recycled paper. These snack and sandwich bags are not treated with petroleum based paraffin wax or any other wax and are totally chlorine-free. Non-toxic glues, Unbleached recycled cardboard packaging and vegetable-based inks have also been used for the packaging. Perfect for snacks, cookies, muffins, nuts, chips, sandwiches and much more. Microwave safe. 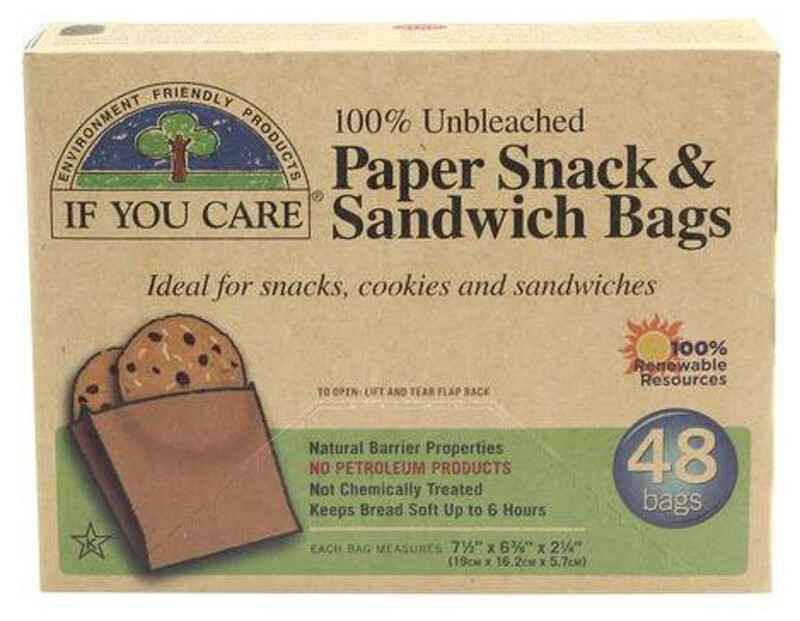 The If You Care Paper Sandwich Bags - 48 Bags product ethics are indicated below. To learn more about these product ethics and to see related products, follow the links below. These are great but would be great if they came in bigger sizes. Great for packed lunches and picnics. Also good for cake slices, cookies etc. Would be even better if they were about 2cm wider.